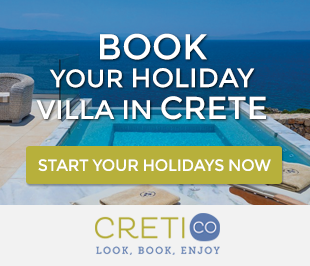 The major cities and tourist resorts of Crete are flooded every year by thousands of visitors from around the world who enjoy their stay with all their comforts and visit nearby attractions. This type of vacationing is very nice of course, however, there are well Crete hidden places which are very popular among the locals, but they are not so much known among tourists. 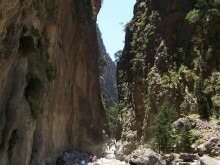 We present to you three well Crete hidden places which will enchant you for sure. Take some unique photos there along with your family or friends and your memories will be truly memorable. About 70 kilometers south of Chania and a short distance from Sfakia lies the picturesque yet cosmopolitan fishing village of Loutro. God has been very generous to this place. Besides the incredible natural beauty, it is perhaps the only place in Crete with no winds, since the bay and the small island at its entrance form a natural harbor. Even the way to reach Loutro is unique. 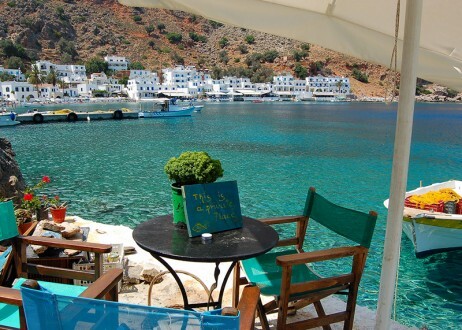 You should get to Sfakia and take the boat, as there is no opportunity to get to Loutro by road. That means that you won’t see any cars in the village and therefore, you will not have the slightest anxiety for your children. The taverns, cafes and generally, the atmosphere there is really peaceful. The waters have a deep blue and emerald color. 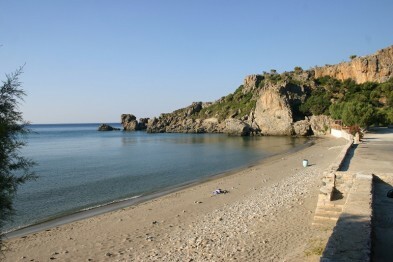 The beach in front of the village is only one of your choices for swimming. There are other nearby beaches with calm waters, such as “Glyka Nera”, “Marmara”, “Timios Satvros” and “Perivolaki”, which can be reached either by boat or by private water taxi. Especially in Marmara, you will have the opportunity to taste authentic Cretan flavors by Chrysostomos from Sfakia, one of the most famous chefs in Chania. If you love hiking, you have one more good reason to visit Loutro, as you will explore the paths around the village leading to canyons and pristine trails in the Cretan nature. 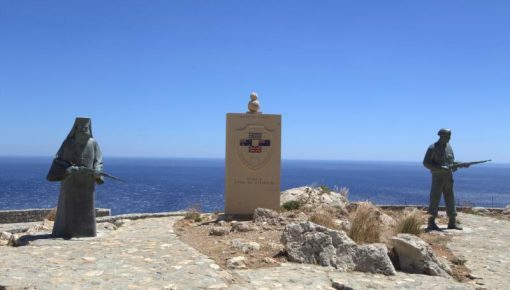 As for your stay, you may find a very nice traditional holiday accommodation in Sfakia. 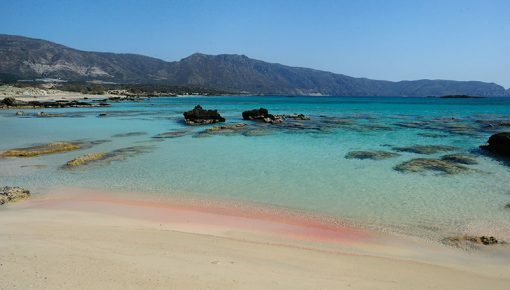 In South Rethymnon, you will find some of the most beautiful hidden beaches in Crete! One of them, ideal for kids, is “Rodakino”. Here, you will see local families, seeking for tranquility, superb sea and good food. Such holidays will surely awaken your childhood memories. 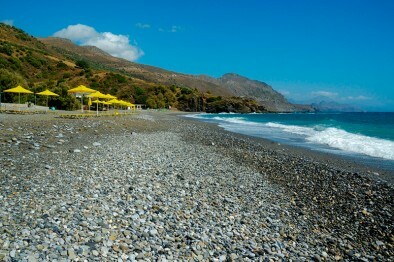 The largest beach of Rodakino is “Korakas”, which has pebbles and is organized with umbrellas and sunbeds. We would also suggest you “Polirizos” beach, which is 1-2 kilometers west with fine sand and trees. If you still want a bit of fun, Plakias village is a few kilometers eastwards and one of the most touristic and cosmopolitan places, with bars and cafes. 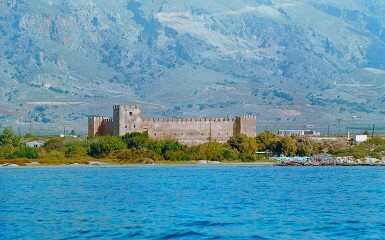 In Plakias you will find organized diving centers to offer you a wonderful experience of the exploration of the seabed. By booking your stay in Rodakino, you will have a unique opportunity to visit Frangokastello, located a little further west and admire the unique view from the Venetian castle next to the beach. 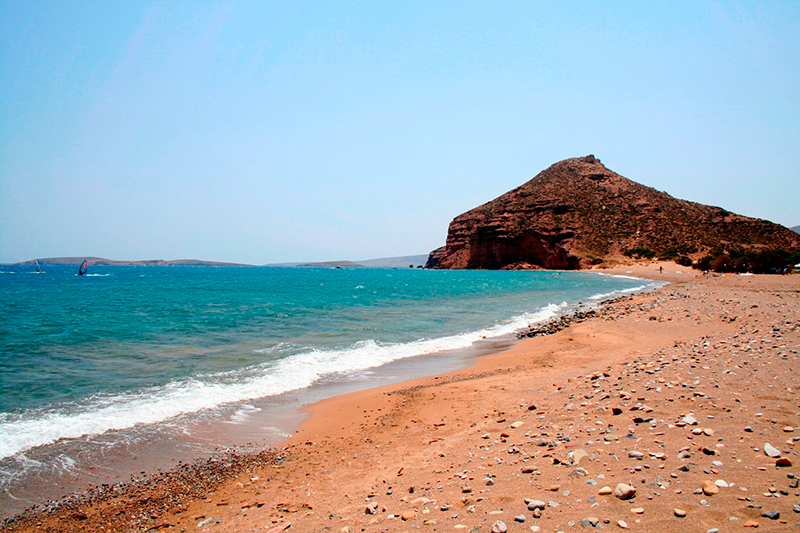 Palekastro, near Sitia, is one of the well Crete hidden places with two wonderful beaches and fresh fish taverns close to it. The beaches of Kouremenos and Hiona are located a few kilometers from Palekastro and its crystal clear waters attract, each summer, hundreds of locals who want to spend relaxing holidays with their families. In a few parts of the beaches, there are umbrellas and sunbeds, but, probably, you will have to lie on the sand, under the shade from the trees. Especially in Kouremenos beach, the weather conditions are ideal for wind surfing. The specific location of the bay and the wind create the best conditions for windsurfers without causing waves near the shore. 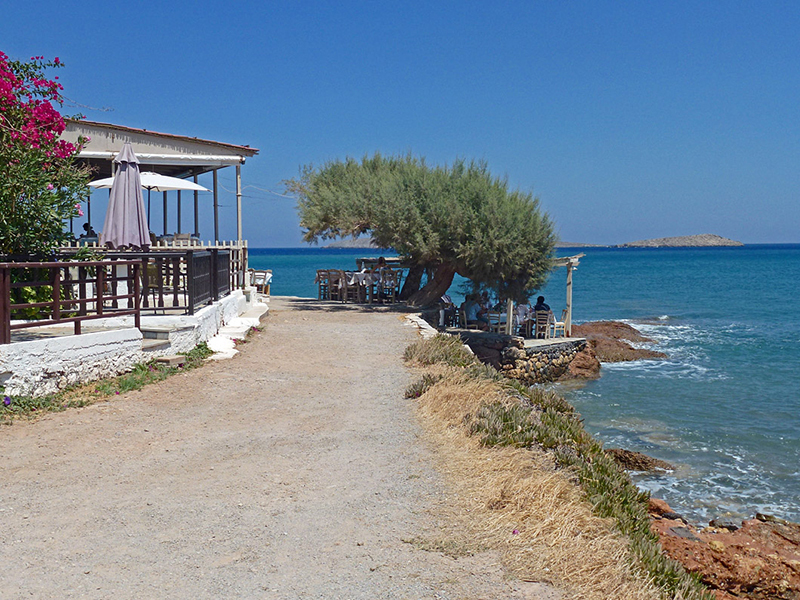 The homonymous tavern on Hiona beach is in itself an attraction, as locals from every part of the island arrive there, either by road or by boat, just to taste the famous “bouillabaisse” (traditional Greek soup made by fishermen). The owner of the tavern is keen on snorkeling and he knows everything about fresh fish. If you want to combine the beauty of Palekastro with your own facilities, you will find many holiday villas in the area ideal for your family or friends. 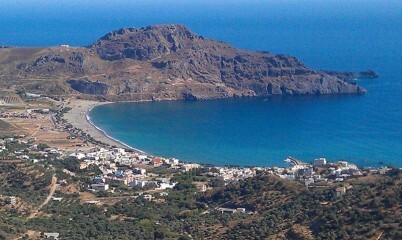 Loutro, Rodakino and Palekastro are very beautiful, but not the only, well Crete hidden places. There are other places also with stunning hidden coves, like Seitan Limania and Agiofarago, that will make you fall in love with Crete for the rest of your life! Posted on 19 Mar 2016 in Featured Posts, Holidays in Crete and tagged Beaches In Chania, Beaches In Crete, Beaches In Lasithi, Beaches In Rethymno, Loutro, Plakias, Rodakino.